This Light and Lemony Quinoa Salad is the easiest thing ever. 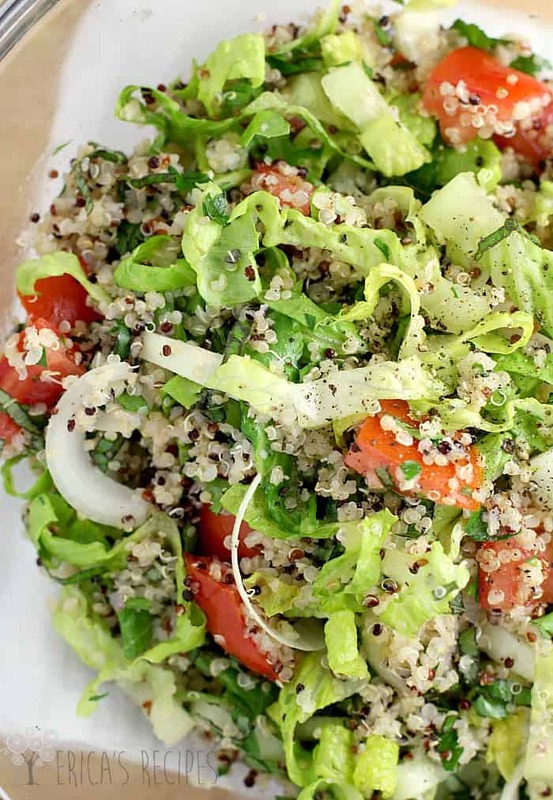 Such a healthy mix of greens, tomato, onion, herb, and protein-rich quinoa in a simple vinaigrette. So delicious with so little effort. Yes, a SALAD! From ME. That like never happens, right? But I am in loooove with this one guys. Fresh, clean, healthy, and crowd-pleasing. Kid-approved even. A perfect side dish for anyone, or a perfect main meal for a vegetarian. Summer happiness is here, in a light and lemony vinaigrette. So when July 4th rolled around, I wanted to give my family the BBQ they were wanting, but have something additional that would satisfy all of us, me included. This salad was so saving. I grilled up some Honey, Bourbon, and Root Beer Glazed Baby Back Ribs for them – checked that box. Then this salad. …and just maybe, also, a batch of deviled eggs. What makes this salad so special is 3 things I think. 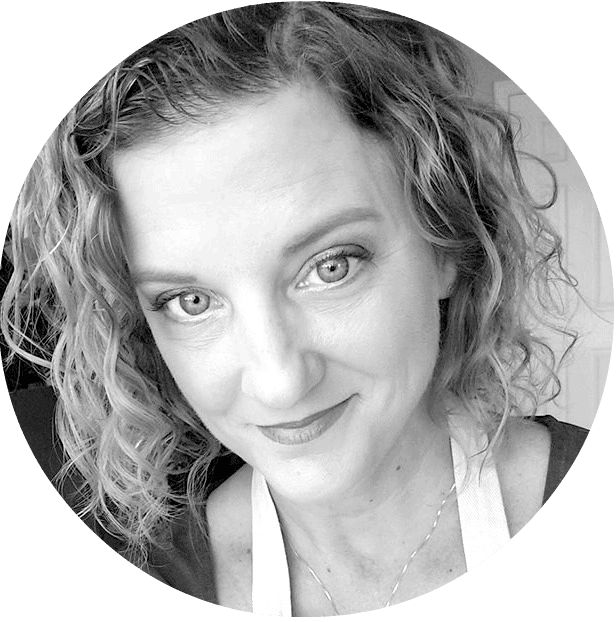 First, garden fresh ingredients – crisp romaine, onion, tomato, and herb are totally called for this time of year. Then the vinaigrette – a little Dijon, some lemon, garlic – so simple it’s crazy how yummy it is. Then the quinoa. …See, if you give up meat, you still need protein. And not just protein, but all 9 essential amino acids. And this magical little seed is rich in complete protein with all those aminos. Hence, happiness was had by all. So that’s it folks. A fantastically delicious yet simple salad, perfect for yourself, your family, or scale it up for a party. Keep this recipe handy to make everyone happy. 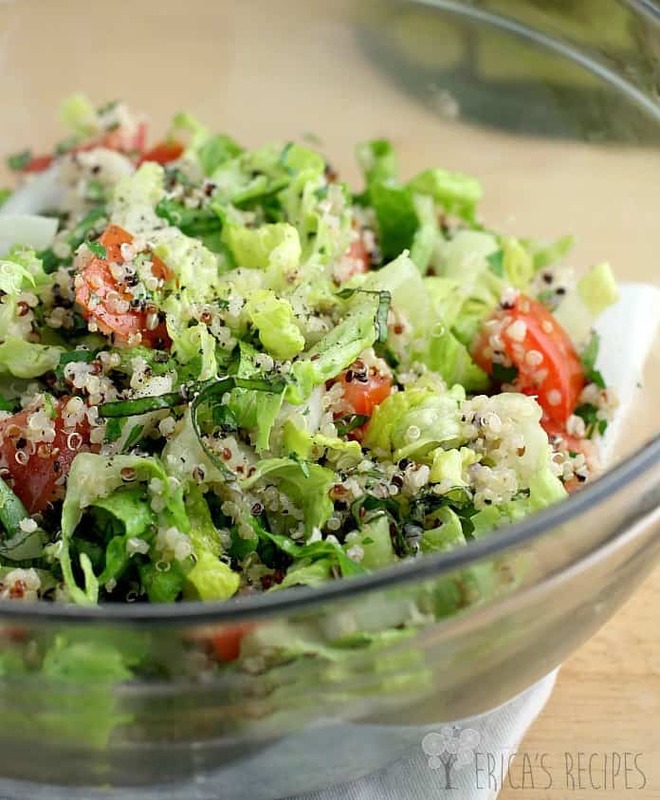 A healthy mix of greens, tomato, onion, herb, and protein-rich quinoa in a simple vinaigrette. So delicious with so little effort. Bring a medium pot of water to a boil. Add the quinoa and boil 15 minutes. Drain the water leaving just the quinoa in the pot. Replace the lid and let quinoa steam 5 minutes. Fluff with a fork. To make the dressing, add the parsley, lemon juice, Dijon, garlic, salt, and pepper to a small bowl. Whisking constantly, drizzle in the olive oil to create the emulsion. 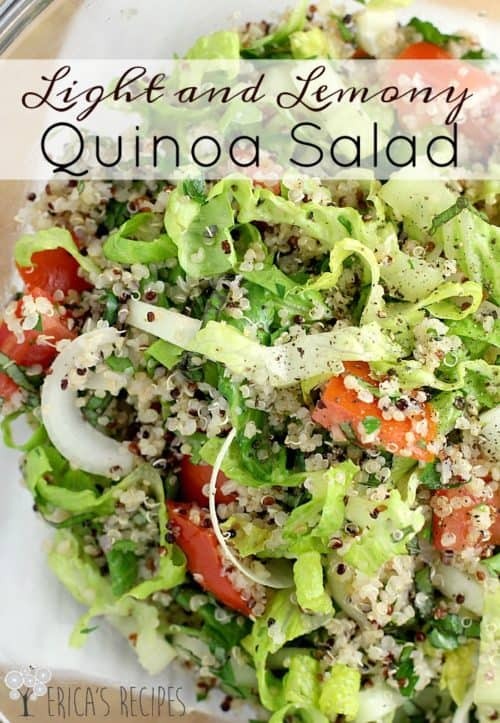 To a serving bowl, add the quinoa, lettuce, onion, and tomatoes. Drizzle with the prepared vinaigrette and toss to distribute evenly. Serve at room temperature. Yields 4 servings. My kind of salad. Although, I’m not giving up meat or dairy, I’d still eat the heck out of this salad. Quinoa is such a healthy ingredient. Beautiful, love everything about this yummy salad!! I like the textures and the flavor you got in this salad. I need this salad in my life! So healthy, light and delicious! Perfect! It’s surprising how nutritious that little grain is! This is a perfect salad for me for my main dish! My daughter just brought over fresh lemons from her tree. Perfect timing! This looks perfect!!!! I love the crunch of the lettuce, the quinoa and the light lemon dressing. A perfect summer salad!! Making this one VERY soon! Boy does that look GOOD! Makes me feel healthy just thinking about having it for a meal. Thank you for the great idea. Quinoa is one of my favorites.